This post is sponsored by Fidelity Charitable, but all opinions are my own. If you&apos;re anything like our family, you have a ton of family holiday traditions. 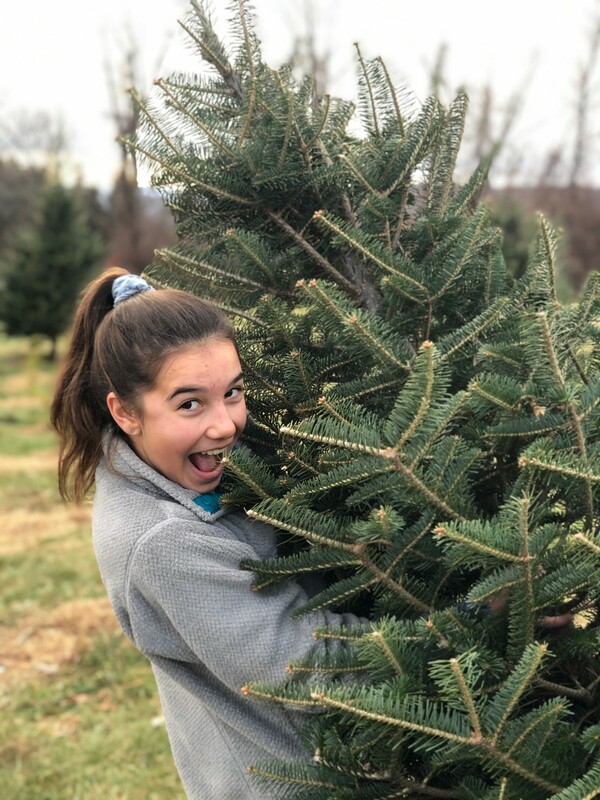 One of our traditions is picking out our Christmas tree in October. 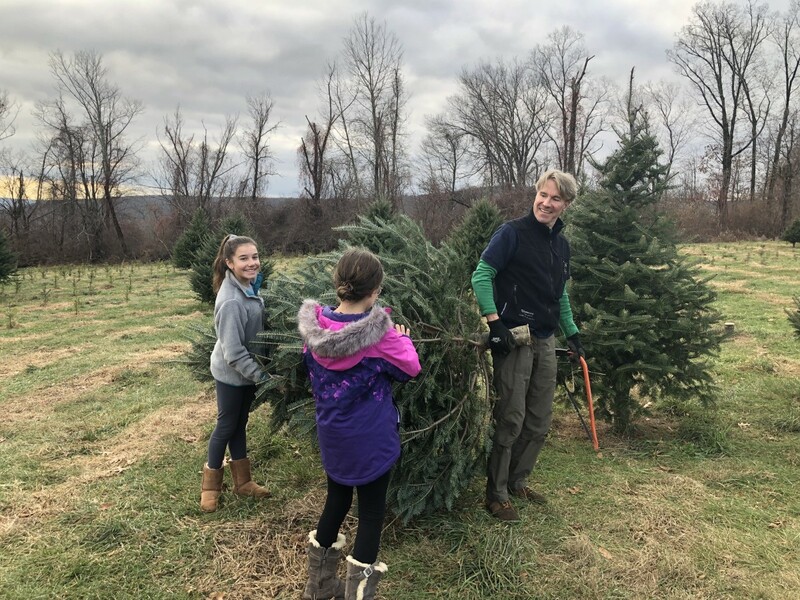 Right after we get a Halloween pumpkin, we roam around the rambling Connecticut farm looking at pine trees for one to tag as our "own." Then, the weekend after Thanksgiving we go saw down our perfect fir. 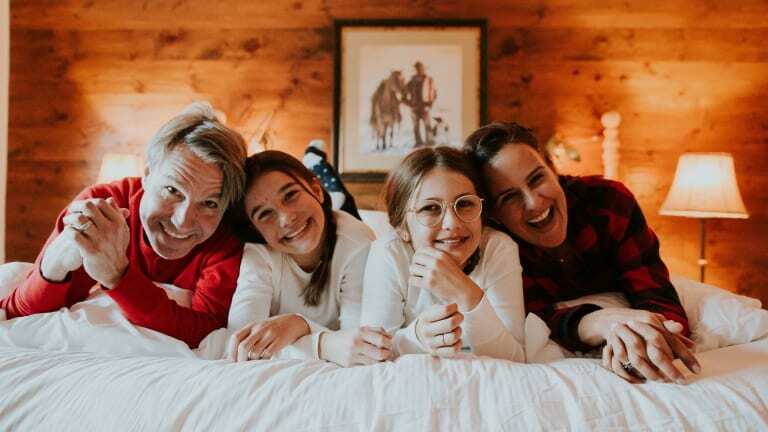 As a family, we make time for this holiday tradition because these memories really matter to us. It&apos;s one way we show the girls that our family believes in experiences not things. Another tradition in our family is giving back to causes that matter to us. To build on this, we are starting a Family Mission Statement. Before my husband and I had our first daughter we mused about the type of parents we would be and how we would raise them. We&apos;ve been on the same page about a lot of our practices and bringing up girls that are kind and generous is important to us. That&apos;s why we believe in the power of mission statements – especially because it’s giving season, and we want something to guide our charitable giving decisions. 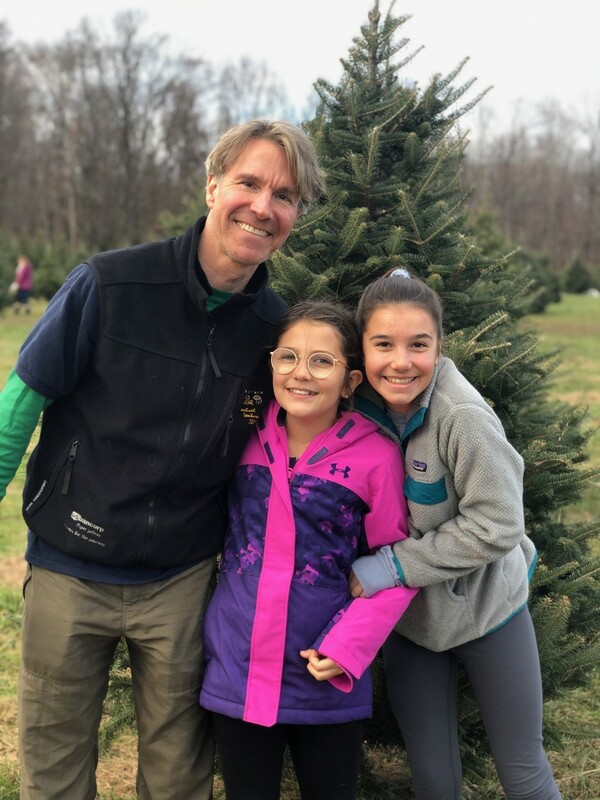 This holiday season we&apos;re going to sit down with the girls (age 10 and 13) to first formalize our family mission statement and then dig deeper to make a charitable mission statement that spells out the causes that are important to us and match up with our goals. What is a family mission statement? Well, it&apos;s like a company statement but more personal. At businesses, a mission statement spells out an organization&apos;s purpose, and identifies the goals of the group. The same for your family. Your statement should clarify what matters most to your family. It should express your values, dreams and goals. If done right, it&apos;s simple enough to put on a small notecard. We&apos;ll be using this statement to clarify how we spend our time and money, and it can also help us say no to things that don&apos;t meet our standards. Creating a family mission statement can be a fun activity. It&apos;ll allow ALL the voices in the family to be heard. It requires everyone to listen and to share. When all parties contribute, they feel invested in the end result. Practically, a mission statement also helps with decision making. It&apos;s a filter to decide on big decisions like "should we accept a new job in a different state that pays more but would uproot us from our community?" or little decisions like "should I put a snarky anonymous comment on a classmate&apos;s Instagram feed?" When everyone is truly committed to the success and growth of the family good things happen. What are our shared beliefs? What distinguishes us from other families? What vision do we hold in common? This weekend we&apos;ll gather with a bunch of notecards and write down the things that matter to each of us. Then we&apos;ll gather the cards and sort them. With any luck, there will be some easy things in common. Like our goal to put family first, to give back to our communities, to put experiences over things. Next we&apos;ll try to prioritize the top three things that define us as a family. And then we&apos;ll try to create a catchy statement that&apos;s easy to remember. To get more ideas on mission statements for your family head here. sweetgreen: To inspire healthier communities by connecting people to real food. The process might get a little "lively." Set ground rules that everyone has a right to be heard. Once we have our family statement, we’ll go one step further and develop a charitable mission statement, which will focus our charitable giving and allow us to spend more time on opportunities that match what matters most to us. There will be some volunteering, and we&apos;ll also set aside funds to help organizations that align with our mission. For example, providing educational opportunities has been one of the big things my husband and I have supported in the past. It&apos;ll be interesting to see if the girls align with our views on education or how we&apos;ve designated these past contributions. What charitable causes will they be drawn to most? As one of our main missions as a family is to give back to others - we embrace companies and organizations that make that easier for us to do. Fidelity Charitable, a public charity, has a donor-advised fund program that can help families make money-smart gifts and giving a family effort. This year we&apos;ve created a donor-advised fund, or Giving Account, that will easily help us track gifts to charity and give the girls more visibility into the process. With a Fidelity Charitable Account, the girls can see us putting our family values into practice as we fund organizations that do good. Similar to how a family mission statement guides everyday decisions, a charitable mission statement will help focus and frame your philanthropy projects. It all comes back around to those early conversations I had with my husband before the girls came. I want to parent with intention and raise good humans. Parenting is an action verb and this mission statement project is one more way to help them grow into good people. Use Pinterest to save your favorite parenting articles. This Develop Your Family Mission Statement feature is sponsored.